This is such a simple shortbread recipe, 30 mins from start to finish (& that includes the washing up!) I found this recipe in a very, very old book, in a very, very old library eons ago when I was only about 12 or 13. It was by “Anonymous” and was titled “Scottish Shortbread”. I love the added semolina crunch and over the years have adapted it somewhat with the ingredient ratio but it still stays true to the original. 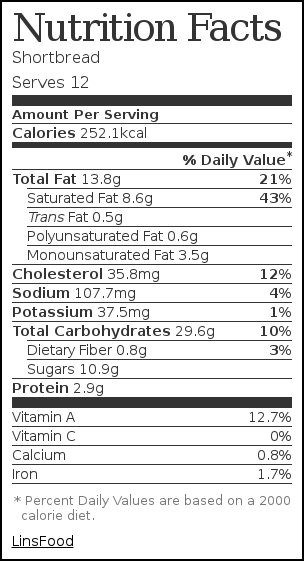 The beauty of it is also that it can be flavoured, have fruit added, and is pretty versatile all around. 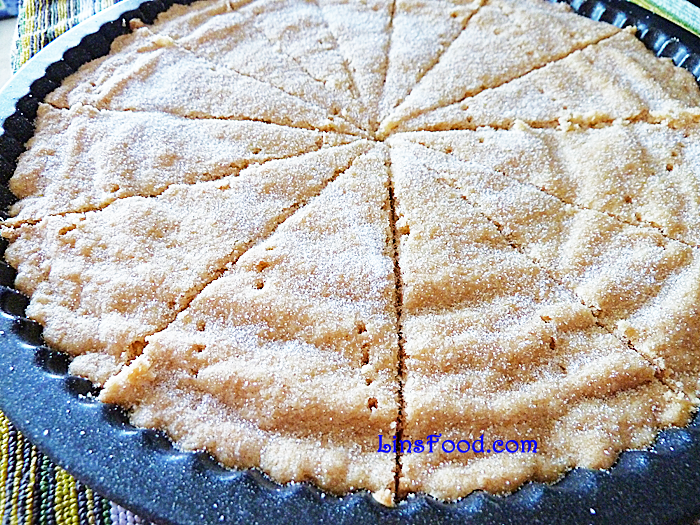 This is such a simple shortbread recipe, 30 mins from start to finish, and that includes the washing up! Wth semolina for a lovely crunch. Preheat the oven 150˚C (300˚F). Using a wooden spoon, cream the butter and sugar for a couple of minutes to lighten the butter. Add the flour and semolina and bring it all together with the spoon. Finish it off with your hands, but do not knead, keep it all very light, working with your fingers. Place the dough in a 23cm (9") pie or quiche tin. Level it all out with your fingers. Prick all over with a fork and bake in the oven for 50-60 minutes until golden brown. When done, cut it into sections in the dish, while it's still hot and soft enough too cut through. Sprinkle with the golden caster sugar. For a difference, you could dip the pointy ends into some melted chocolate and leave to dry. I love shortbread but never get around to making it. You topped it off with the perfect finish: jam and cream. Delish! I absolutely love how you’ve presented this–this is my idea of a perfect, elegant dessert. Mmmm, that looks wonderful! I absolutely adore shortbread, and strawberries would be perfect with it. We must be on the same wavelength because I just made shortbread for the first time a few days ago! I’ve been eating mine pretty plain; yours look dressed up and ready for a night on the town! So yummy, especially the strawberries you use. Thanks! The addition of the semolina here does intrigue, I will definitely need to try it. Also, I cannot think of a better way to make shortbread more delicious than a dip of chocolate-yum! Thanks for sharing this Lin! Simple and delectable! That’s how I like my cookies 🙂 These look great! 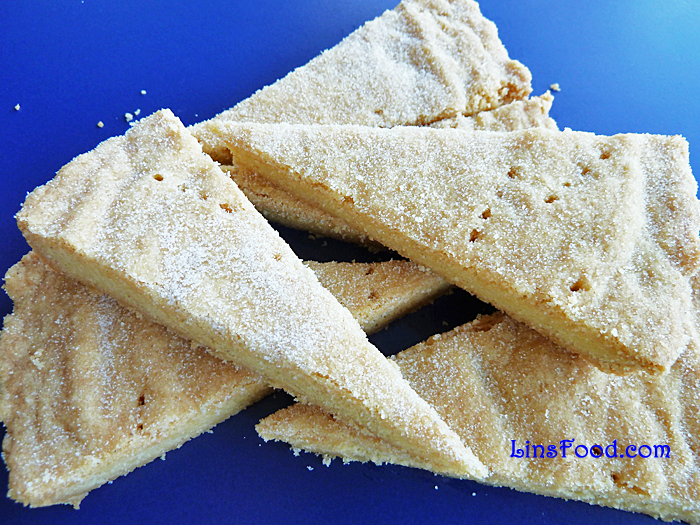 I’ve never tried making shortbread before but yours looks so good I want to try it now! I love the simplicity. I bet its delicious w/ strawberries. Yum! Simple but with a nice outcome Lin. Yummy it looks to me.